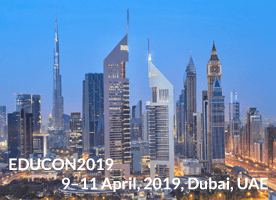 Next week e-LIVES will be presented at EDUCON’2019, in Dubai, UAE. The presentation will be Wednesday, April 10, in the Ruby Room, at the Rixos Premium Dubai JBR Hotel, 1:30 pm. We will be waiting for you.